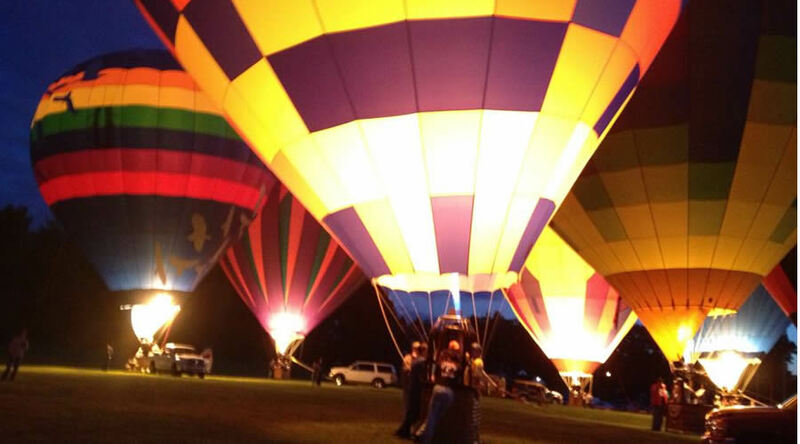 If you have never been to a hot air balloon festival, you really should add it to your bucket list. The colorful balloons against the sky can be quite breathtaking. 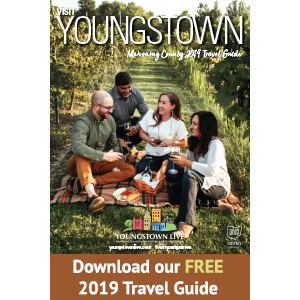 Many of the festivals, also offer tethered and balloon rides for those who would like to see Ohio from a different vantage point. Blossom Time is the Jaycees’ signature event, taking place every Memorial Day Weekend in the village of Chagrin Falls. 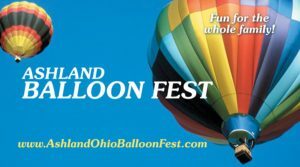 Coshocton County has one of the longest running balloon festivals in Ohio with over 20 hot air balloons filling the skies. 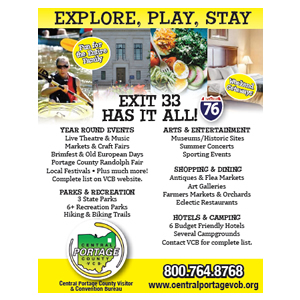 Musical entertainment, carnival rides, festive foods, crafters and an Antique Flea Market are just a few of the items lined up at this annual festival. 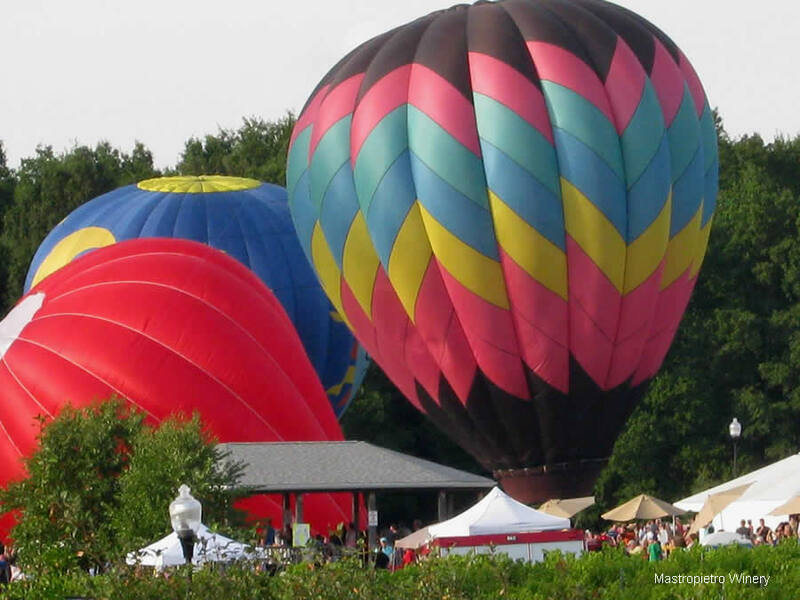 The Pro Football Hall of Fame Enshrinement Festival Balloon Classic & Fireworks annually attracts balloonists from throughout the United States. 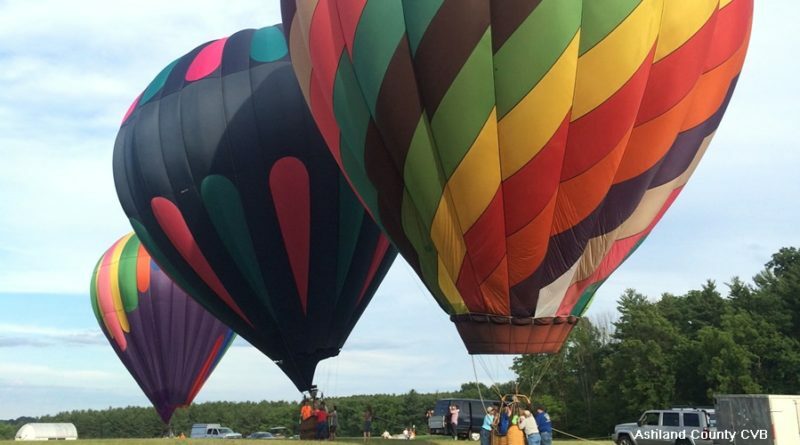 It has become one of the most popular of all Festival events with more than 130,000 spectators viewing the balloon activities over the weekend of July 27, 28, and 29. 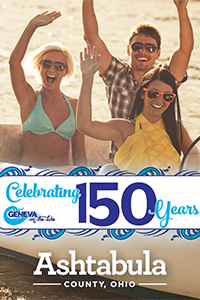 General admission – Weekend Pass for Friday & Saturday $10, kids 10 and under are FREE! Ticket sales at the gate are CASH ONLY. An ATM is available on-site. This is a kids friendly event! This is by far our most popular and busiest event of the summer! This is the only event where there is a fee charged). Activities for kids in the afternoon and balloons launch in late afternoon pending FAA approval. 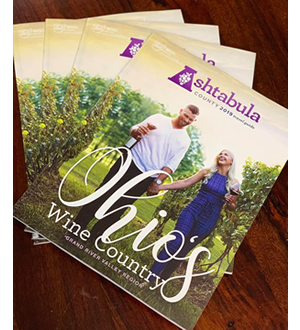 For more Ohio winery information or events visit discoverohiowines.com. Want to ride in a balloon? 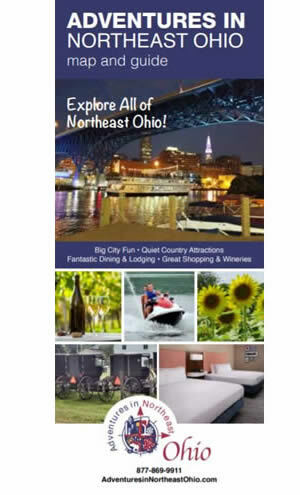 Below we have listed information about where you can sign up for hot air balloon rides in Ohio. Before booking any rides, please review and/or discuss all rules with each vendor and verify insurance. Rides are 6:30-8:30 p.m. Bring your family and friends out for this unique experience. Check out the winery property from a bird’s eye view (50-70 feet approx.) as the hot air balloon lifts you up into the sky for a tethered ride. 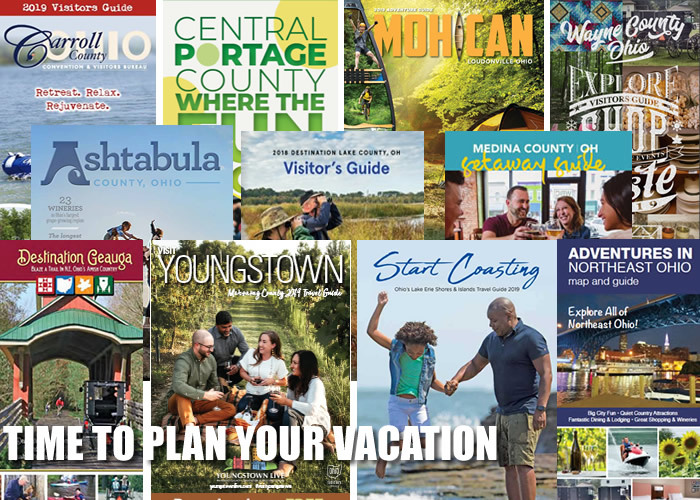 Banner photo credit: Ashland County CVB. Editor’s note: Part of this story ran in 2018. The dates and additional events have been updated for the 2019 season. Any use of the above article or images without prior permission, will be in violation of copyright laws.